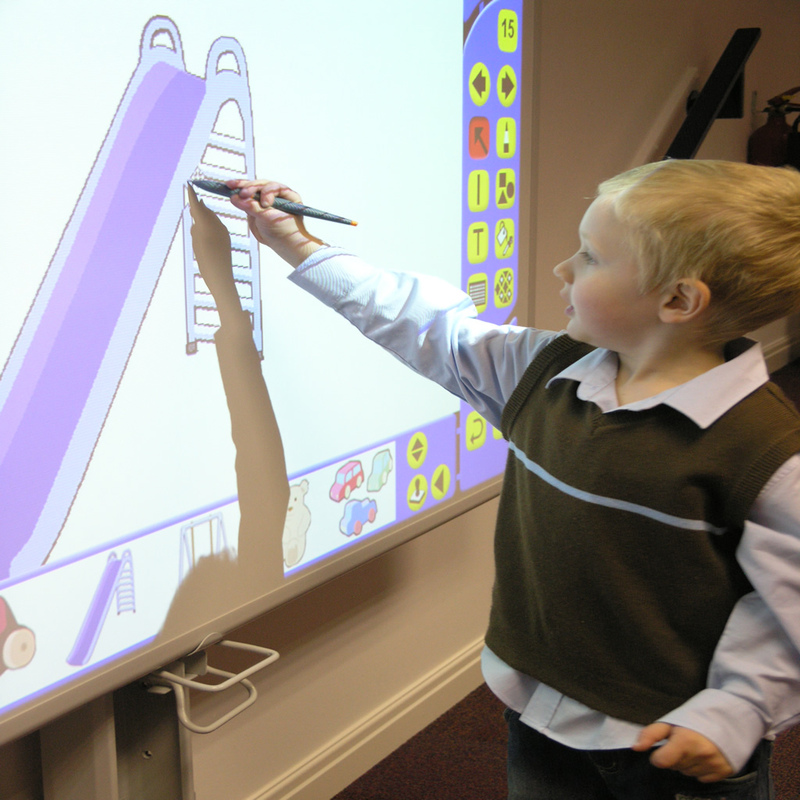 This post is a summary of an #ELTchat on the topic of interactive whiteboards (IWBs) which took place on February 27 at 21.00 GMT. You can read the original transcript here. There’s a simmering controversy in the ELT world about the value of IWBs in the classroom. For some, IWBs can enhance language instruction and learning, while for others they don’t provide enough learning opportunities to justify their high cost. As a teacher who has been using IWBs for some years but hasn’t explored their full potential yet, I proposed this topic in order to get practical tips and ideas from fellow chatters. What activities are special to IWBs? What materials or applications can we use? How can we make the most out of an IWB in the classroom? Within a few minutes the chat turned into a fascinating debate confirming for one more time the controversy that IWBs can attract. As a result, apart from offering practical advice, ELT chatters discussed the pros and cons of using IWBs in the classroom. There were also those who argued that IWBs are already being overtaken by other technologies such as tablets and other types of interactive projection and explained how an iPad can be used instead of an IWB. Finally, some links for further reading were shared. IWBs can enhance teachers’ lessons (@prese1). Best thing about iwbs is the ability to save all your board notes (@dreadnought001). IWBs allow you to organise your lessons in files (@eng4abetterlife). An IWB is both a board and a window into a computer (@tim_crangle). Easy access to the internet or internet-based exercises (@bhrbahar & @SophiaMav). Easy access to a range of board games (@prese1). Erasing takes a second. Shapes are ready (@bhrbahar). You don’t need to draw everything. You can save your work, share and use it again (@bhrbahar). You can save students’ work as well (@SophiaMav). You can get your students to write/interact on the board with what you are projecting (@tim_crangle). With IWBs you don’t need to carry your laptop to class (@SophiaMav). It can have a great effect on classroom management (@antoniaclare & @Shaunwilden). IWBs can motivate teachers to use technology in the classroom (@JennyJohnson10). From a commercial point of view it can be a selling point for a school (@tim_crangle). They are too expensive (@Marisa_C @blairteacher @CotterHUE tim_crangle @Shaunwilden). Only one student can work at a time while the others are waiting. This might translate to less engaged students and poor activity (@CotterHUE). School owners might invest on IWBs to advertise their school but use them rather traditionally e.g. projecting text, rules, exercises (@Marisa_C ). What activities are special to IWBs? @Shaunwilden suggested screenshade andspotlight tools both of which can be used to hide part of a photo and encourage students to speculate. He also added that by changing opacity you can have easy guessing games. 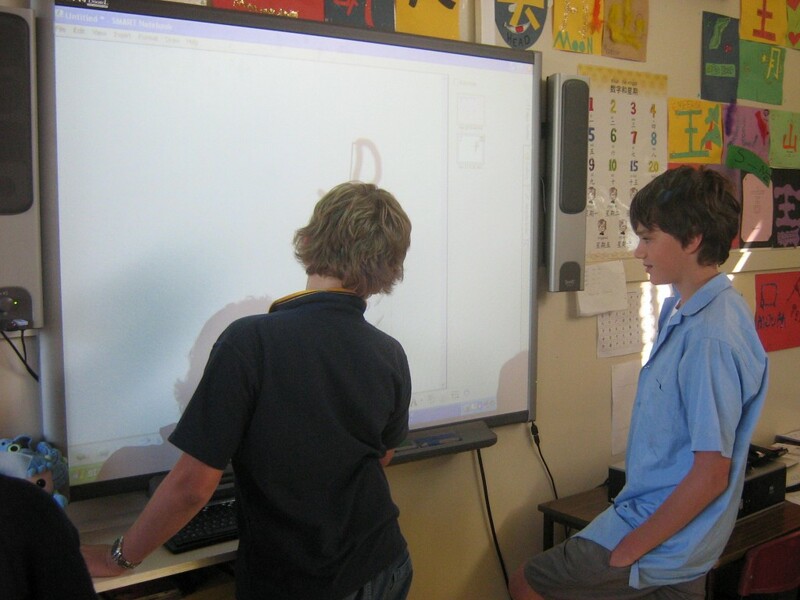 @tim_crangle said that Smart and Promethean boards offer Flash animations that you can customise (anagrams, MCQs, dice). He added that these particular brands have places where you can share and find lots of excellent activities. @antoniaclare said IWBs can be great with video and @bhrbahar added that, depending on the topic, clips can be useful for consolidation. @eng4abetterlife asked if there is something particular to the IWB that is good for TESOL. @Marisa_C said that using something like Google streets for directions does work really well on an IWB and @tim_crangle added that you can teach prepositions by using the shapes, arrows etc provided with the board software. In regard to grammar, @dreadnought001 said that a teacher can have lots of useful boards (eg grammar, agree/disagree lang) ready to pull up when needed. @tim_crangle pointed out that you can do interactive written work with Google drive if your class has computers, smartphones or tablets and project on the IWB. @SophiaMav said that you can instantly find pictures to teach vocabulary and that there is no need for flash cards any more. @tim_crangle added that you can add sound to images by recording your voice naming the objects or by getting the students to record themselves. @bhrbahar said that one of the most compelling features of an IWB is the ability to save your work, share it and re-use it to which @Marisa_C replied that this is good if you keep teaching the same lessons over and over again; however, @tim_crangle added that this feature allows you to “tweak” and improve previous lessons and adapt them more easily. 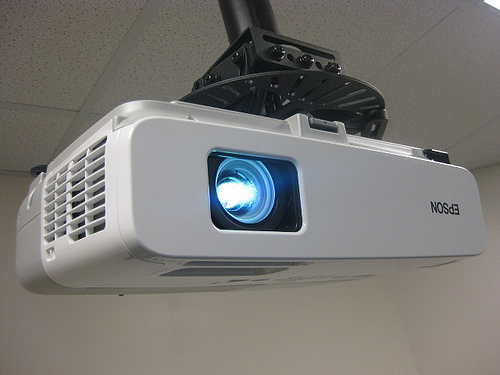 As previously mentioned, @Shaunwilden argued that it’s not the board itself but the computer and the projector that allow all the learning opportunities, “the board is just a monitor and a mouse”. @SophiaMav agreed but said “it’s all in one place. No need to install or carry laptops from classroom to classroom”. @bhrbahar added that this is their function and as a result IWBs give the opportunity. @Shaunwilden answered that they do have all in one systems, but if the computer doesn’t work your board does not work either to which @bhrbahar agreed and added that an IWB is like a computer with a big screen. @dreadnought001 thought that the price had come down quite a bit but @Marisa_C said that locally you can’t get anything good in a decent size under 1700 or so euros and that you can’t just get ONE! @tim_crangle added that “you can’t afford to cut corners on quality – a board/computer/projector which breaks down is a total waste of time”. The issue was raised by @CotterHUE who said that a limited number of students can work on the board while the others wait for their turn and might be distracted. @tim_crangle agreed but suggested “the robot technique” which means that you get one student to be the robot who is ordered by the other students, in this way everyone is involved. Can the iPad be used as an alternative to an IWB? According to @tim_crangle an IWB is more interactive as you can get your students to write or interact on the board with what you are projecting. @CotterHUE disagreed by saying “How more interactive? Ipad uses video, pdfs, etc. Don’t have to print worksheets and can send work to all students by email”. For @Shaunwilden the iPad is more interactive when used with Apple TV to which @tim_crangle agreed but said that “Apple TVs are another story”! @Wiktor_K also argued that buying an iPad and an Apple TV may also raise cost issues but @Shaunwilden said “not as much as a board! Apple TV less than a 100 quid, cheapest ipad 329 cheap projector 200 quid”. He also added that instead of Apple TV, teachers can use apps that turn your iPad into an IWB if linked to a computer e.g. such as doceri or reflector but in this case you need a computer. @CotterHUE also said that you can buy a cable adapter in lieu of pushing content to apple TV. But that would mean that you can’t walk around with an iPad. @VSnack finally shared a link to a video that demonstrates how to transform any WB into an IWB and added that it’s a much cheaper solution. @dreadnought001 wanted to know how using an ipad as IWB replacement works and whether it is awkward to write on it. @Marisa_C answered that you can type or use a stylus but @dreadnought001 thought that “styluses (styli?) are awful on the ipad”. @CotterHUE offered a link to stylus for ipad and added that there are also loads of great apps. @Marisa_C said that she had never used a stylus but she can easily draw, type, screen record and email everything with Educreations App. She also uses it for error feedback. She explained that it’s like jing but you create as you record and save all your pages like an IWB. @Shaunwilden added that he prefers screenchomp – a free app for creating and sharing short tutorials on the iPad. @Wiktor_K also suggested Penultimate – a handwriting app for iPad that allows you to easily take notes and save your work. It can be fully synchronised with Evernote and stylus works great with it. He finally concluded that after tablets and gesture control (check Leap Motion) IWBs are not “the most interactive game in town”. @Marisa_C: So can I sit back and relax then …. we seem to have two opposing camps here – FOR & AGAINST – fun. @dreadnought001: Don’t get the hostility to them, it’s like being angry at a tape recorder, it’s equipment, good teachers use it well, bad teachers don’t. @CotterHUE: Sounds like IWBs offer few more bells and whistles but expensive. @Marisa_C: Personally I don’t like publishers who just put out book pages on their software and call this innovation. @Wiktor_K: IWBs are really worth it if they’re used by dedicated & creative teachers, I think. So I’m sure we shouldn’t give up on them! IWB debate with Gavin Dudeney and Pete Sharma (@antoniaclare) – Note that the recording can only be accessed by LTSIG members. An interesting article: IWBs are no Silver Bullet but can be poweful (@SophiaMav). Previous: Previous post: What are the Differences between the ESL Classroom and the EFL Classroom?